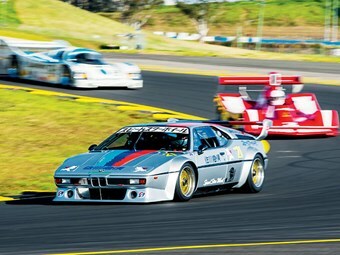 Crowds flocked to Sydney Motorsport Park over the Queen's birthday weekend in June for two days of non-stop racing at this year's Sydney Retro Speedfest. Now in it's second year, the event is run by the Historic Sports and Racing Car Association (HSRCA) in conjunction with the Australian Racing Drivers Club (ARDC). The open pit-paddock area proved popular with spectators, allowing fans to take a closer look at some of the exotic machinery, plus the opportunity to chat with the drivers. Unique Cars sat down with a few of them as they told us about their special cars.